Do You Know the Most Controversial Provision in Your Rental Lease? While pre-leasing negotiations center around tenant screening reports, move-in dates and contingencies like pets and parking, it’s a particular rental lease provision that most often lands you in hot water. First, many standard rental lease forms provide a blank space for the landlord to enter a late fee, either a percentage of rent or a specific sum. Landlords often fill that amount in based on what they feel is appropriate. However, late fees are heavily regulated by state and local governments. If you do not know the laws in your jurisdiction, you may choose a figure that is too high, and it will be illegal. Secondly, landlords often want to deter tenants from paying late. So, they aim high, and choose a late fee that will penalize the tenant. These provisions are generally not enforceable. Rather, late fees must correlate to an actual out-of-pocket loss that the landlord may suffer if the rent is late – lost interest, late mortgage fees, postage, and lost time tracking down the rent, for instance. Finally, some landlords apply the late fee provision incorrectly, like ‘stacking’ or ‘rolling’ late fees – deducting the previous month’s late fee from the current month’s rent, causing another shortfall and another late fee. In that instance, the landlord likely is violating the maximum limits for late fees, and charging more than actual losses. The landlord may not have grounds to evict the tenant for nonpayment of rent in that situation. Always check the laws in your area for maximum caps on late fees. Estimate your actual losses when deciding what amount to charge for late fees. Make sure the late fee provision in your lease is fair (allows a couple days leeway) and is clearly spelled out (what if rent is due on a Sunday but your leasing office is closed?). And don’t include a late fee provision if you don’t intend to enforce it, or you will train your tenants to pay late. 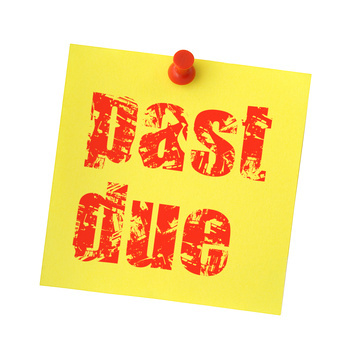 Apply your late fee policy consistently with all tenants. It may be discriminatory to let one tenant slide and not others. Click for help with Past Due Rent Collection. What is the late rent penality in BC? A landlord must not charge the fee described in paragraph (d) unless the tenancy agreement provides for that fee. Previous post: Is Your Applicant Telling the Truth?